This physically demanding trek – one of the world’s most famous – is the most popular hiking tour to Machu Picchu because of its combination of amazing landscapes, nature, trekking and sightseeing. Along the hike to Machu Picchu you will see amazing landscapes, visit archeological sites and walk through several ecological zones like lush cloud-forest and rich sub-tropical jungle. You will cross a pass 4200 meters above sea level and see fantastic mountain sceneries, camp outside every night and enjoying pure nature and amazing views for 4 days and 3 nights. 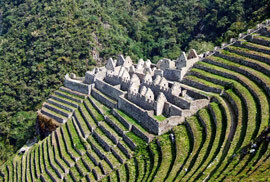 Finally arriving at Machu Picchu and exploring this unique and sacred place is worth all efforts and a guide will make sure to provide all the information about Machu Picchu and its history that you desire. 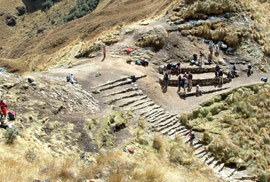 We will leave from Cusco and travel to Urubamba where we will stop briefly at Ollaytaytambo. Here you can buy last minute gear and personal needing, after we move on to Piskacucho (82 km), the start of the Inca Trail. We will have lunch at Miskay and relax a bit before starting our hike to the first campsite of our tour, Huayllabamba. 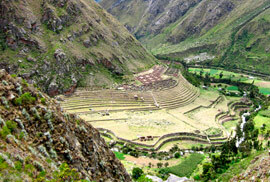 Along the way we will see the first and the biggest archeological site of the Inca Trail, Patallaqta. We will start the day early in the morning to take advantage of the shade from the mountains. It’s much more comfortable when hiking up to the highest point of the Inca Trail. Here, we can literally see the various ecological zones and microclimates, which make up the area, mapped out in front of us. We will cross the Warmiwañusca, the “Dead Women’s pass” at 4200 m/13780 ft above sea level. After lunch we will continue on to the Pacaymayo campsite, where we will enjoy dinner and a well deserved rest. The day begins with a nutritious breakfast and then a 45-minute hike up to the second highest pass on the Trail (3850 m/12631 ft above sea level). Along the way we will visit the Runcuracay archeological site as well as later the Sayacmarca and Phuyupatamarca Quechuan archeological sites. After lunch we will head to the Wiñaywayna site, where we will spend our last night on the Inca Trail. After an early breakfast, we begin the final leg of the trek to the lost city of Machu Picchu. First, we will hike to Inti Punku or Puerta del Sol (the “Sun Gate”), where we will take in the inspiring and panoramic view of the Machu Picchu citadel. 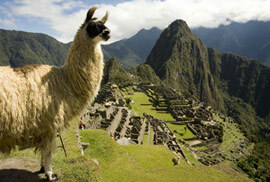 After a short hike down to Machu Picchu, we will register and then enjoy a 2-hour guided tour of the sanctuary city. Then you will have time to explore the place on your own. Walk through narrow paths and between impressive stone walls, capture these unforgettable moments on your camera and feel and enjoy the special atmosphere of this sacred place. After the Machu Picchu tour, we will take the bus down, or walk to Aguas Calientes where you can enjoy some free time. Take your bathing togs with you so you can enjoy a bath in the hot springs! In the evening we take the train to Ollantaytambo and from there return to Cusco by bus. End of the service. Camping equipment: tents (4 people tent for two people, so there will be pleinty of space for backpacks), mattress, dining and cooking tent, tables, chairs, oxygen balloon, first aid kit.